When looking for your next sedan around the Avon, Indianapolis, and Plainfield areas, you can stop at the 2018 Toyota Camry. With state-of-the-art technology features, a sleek exterior design, and plenty of interior space, the Camry will take you to your destinations with style and comfort. With the Camry’s modern interior, it doubles as a family-friendly cruiser or a group night out transporter. Keep reading to find out all the details, brought to you by your friends at Andy Mohr Toyota! The 2018 Toyota Camry offers plenty of passenger and cargo space for those Saturday morning soccer games or road trips with friends. Second Shoulder Room 55.7 in. These dimensions offer the roomiest of rides when sporting the Camry, especially when it comes to the backseat and trunk space. Pile in your tallest riders, plus some extra luggage bags, and get headed in comfort to wherever the road takes you! Inside all the Toyota Camry trims, you’ll find the latest and greatest of technology features that will keep you and your loved ones both safe and entertained on even your longest drives. The Camry has the latest technology features that keep your cruises convenient—all right at your fingertips. 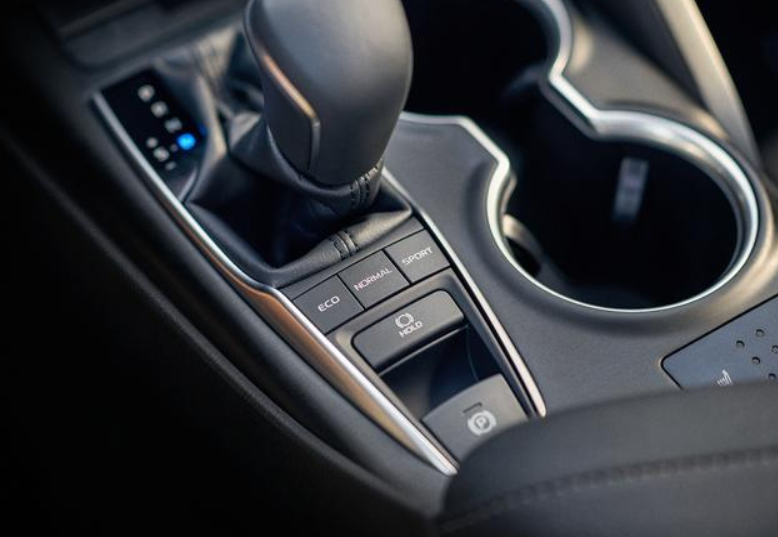 With a standard 7-inch touchscreen Entune™ 3.0 infotainment system, you’ll never skip a beat with advanced smartphone connectivity features. Whether you’re looking to access your favorite songs with apps like Pandora® and iHeartRadio, or travel to a new destination with the Scout® GPS Link App, your drives will be much simpler and even more fun! Other safety features include the available Bird’s Eye View Camera with Perimeter Scan, Blind Spot Monitor with Rear Cross Traffic Alert, and 10 standard airbags to keep you and your passenger covered from all angles. While it’s nice to have the amazing features that come inside the Camry, it’s an added bonus to enjoy them in style. 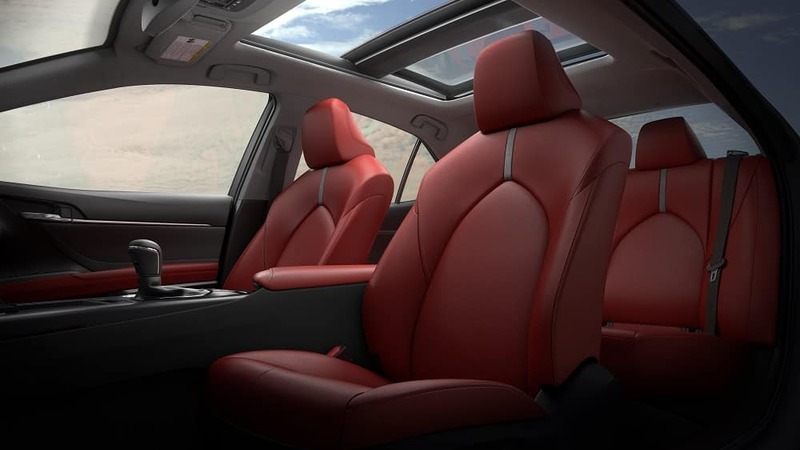 The inside of the Camry offers plenty of options to reflect your personality, including Cockpit Red leather-trimmed upholstery or the two-tone Midnight Black Metallic roof. The 2018 Toyota Camry is sure to impress and change the way you look at your Plainfield, Avon, and Indianapolis drives. If you’d like to learn more about this advanced sedan, contact us at Andy Mohr Toyota to schedule a test drive today!